I love podcasts. There are so many different and unique podcasts out there that you are sure to find something that interests you. Whether you are looking for comedy, history, sports, or entertainment, you are sure to find a great podcast that you will enjoy. But getting into podcasts can almost be an addiction, and you may find that you are subscribing to a lot of them, and that the downloaded episodes are taking up a lot of space on your device. One way that you can alleviate this problem is to limit the number of episodes of a podcast that you keep on your iPhone. Our tutorial below will show you where to find and change this setting. The steps in this article were performed on an iPhone 7 Plus, in iOS 10.3.3. 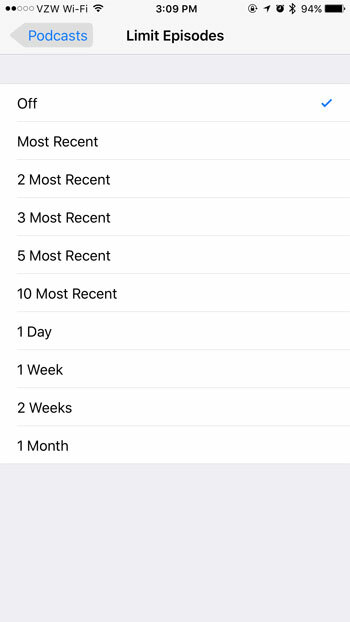 This tutorial is going to show you how to limit the number of episodes of a podcast that you keep on your phone at once. 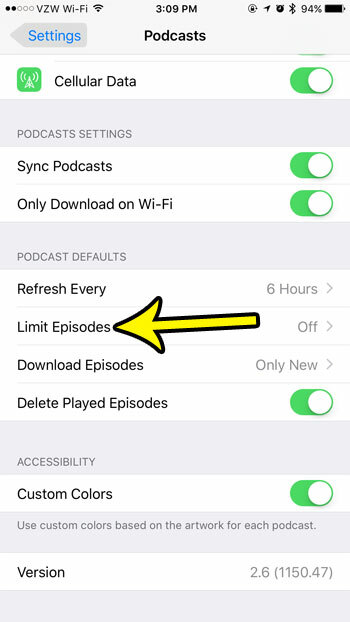 Step 3: Choose the Limit Episodes option in the Podcast Defaults section of the menu. 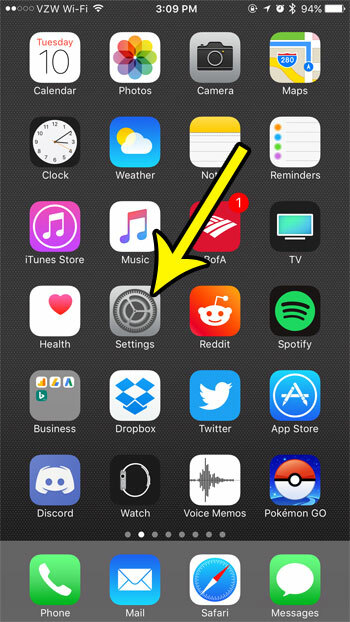 Step 4: Tap the description that represents the number of episodes of a podcast that you would like to keep on your phone. 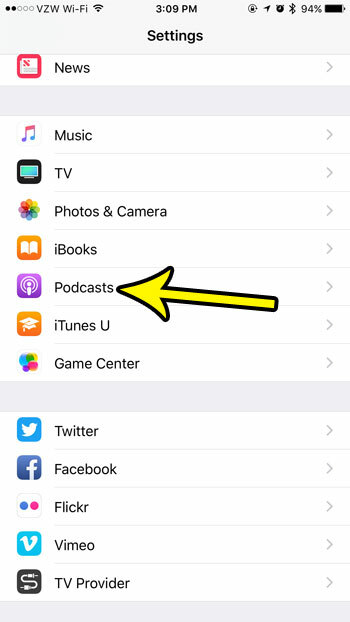 Are you employing this limiting podcast option in an effort to give your self some more storage space? This guide will show you a variety of methods that you can use which will save you some storage space on your iPhone.